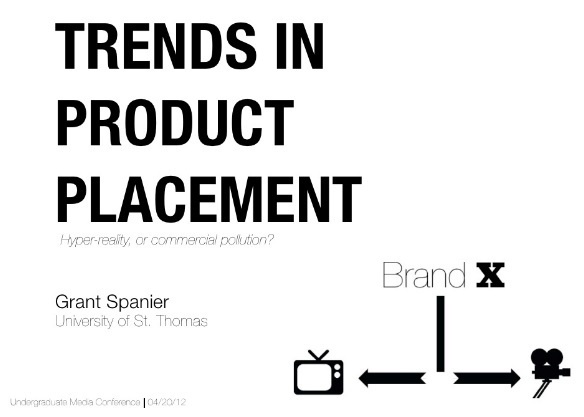 I first presented Trends in Product Placement: Hyper-Reality or Commercial Pollution at a research conference almost two years ago. I had conducted the original research because of my intense fascination with the intersection between brands, reality, and entertainment. I dug through the history of the practice known as “product placement.” I looked at an enormous amount of content. What I uncovered was a rapidly growing industry ($7+ billion) that had more than doubled from 2006 to 2011. I studied the full spectrum (good, bad, downright ugly) of product integrations and through my own primary research I found out how millennials felt about the practice. I saw (and still see) an industry that’s in its adolescence. As brands struggle to adapt to the digital world, as entertainment channels fragment into hyper niches, as content consumers become content creators, this truly is a new frontier where the opportunity is high and the stakes are higher. Social media “influencer” sponsorships, product integration, product creation (see: Avion Tequila in Entourage) — the lines between “commercial” and “art” are blurrier than ever. The role brands play in this new “reality” has never been more important. It’s a huge opportunity for brands to do it right—to find authentic intersections between content and product. It’s an opportunity for content creators to bring a new level of authenticity to their projects and find new revenue streams. Integrating brands/products into everyday life and into storytelling is only going to expand from here. The winners will be the ones who do it right. 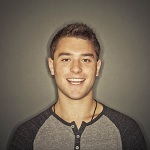 Grant Spanier is a writer, designer and entrepreneur in Minneapolis, MN. He runs LESS Co. a small creative studio that helps clients tell compelling stories. He writes on storytelling for Advertising Week and he hosts the 10,000 HOURS podcast—a show about craft & creativity.